Medford and Somerville denture wearers don’t sacrifice looks for fit and function with dentures from Anthony Giamberardino DMD. Whether the need is a traditional partial or full denture, immediate dentures placed after extraction or implant-supported overdentures, Giamberardino Dental Care delivers high-quality dentures for beautiful smiles. For too long, dental patients have struggled with full and partial Medford dentures that don’t look natural or fit comfortably. Function has been problematic, too, with all-too-familiar slippage, unclear speech, and gooey adhesives. Yet, people missing one, multiple or all their teeth need good replacement options so they can eat and talk normally. Self-confidence is important, too, as tooth loss dramatically impacts facial appearance. A healthy mouth is a secure foundation for placement of any Somerville dentures. When Dr. Giamberardino is fully satisfied that a patient’s mouth can accept dentures, he will take impressions, x-rays, and other modern imaging to gather the necessary information to make a great denture. 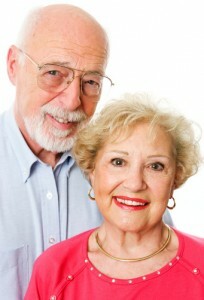 Many times, traditional removable dentures remain an excellent choice. With precise crafting from the best of materials, good home hygiene and routine check-ups and adjustments, these appliances can last for years, lending patients good aesthetic form, fit and function. In addition, modern dentures come in a choice of styles; so there’s no one size fits all look. Medford dentures are individualized to each wearer. Other patients may be able to choose immediate dentures. These replacement teeth go right into the mouth after tooth extraction, minimizing bleeding and swelling. They also allow the individual to learn quickly how to speak and chew with dentures, and of course, there’s no embarrassment of being without teeth in public. Often, these dentures need some rebuilding as oral tissues heal and shrink. Finally, implant-supported overdentures provide exceptional stability to the denture wearer. Dentures are mounted onto metal implants which are surgically placed in the jawbone. Some of these dentures are removable and others remain fixed. Either way, patients enjoy a firm foundation for their new teeth and a natural-looking appearance as well. Why suffer with poorly fitting, unattractive dentures when you can have a beautiful, well-functioning smile? Contact Giamberardino Dental Care for an appointment. Dr. Giamberardino will walk you through the denture choices best suited to you and your lifestyle.